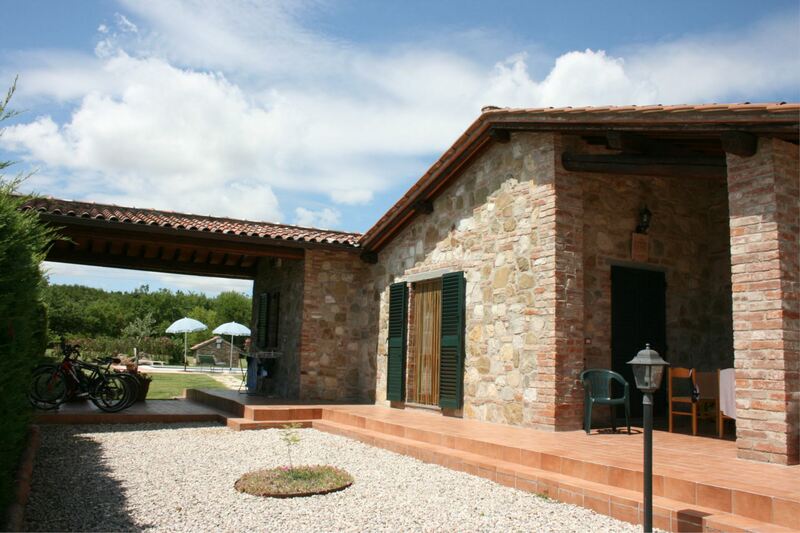 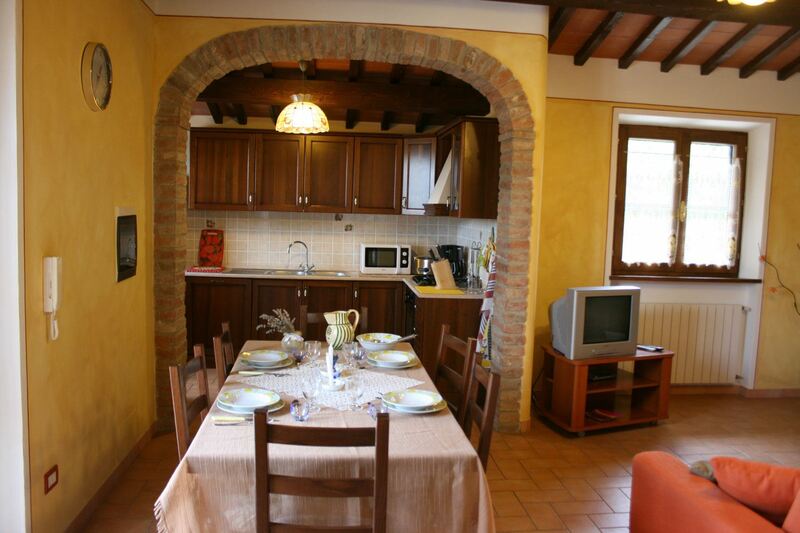 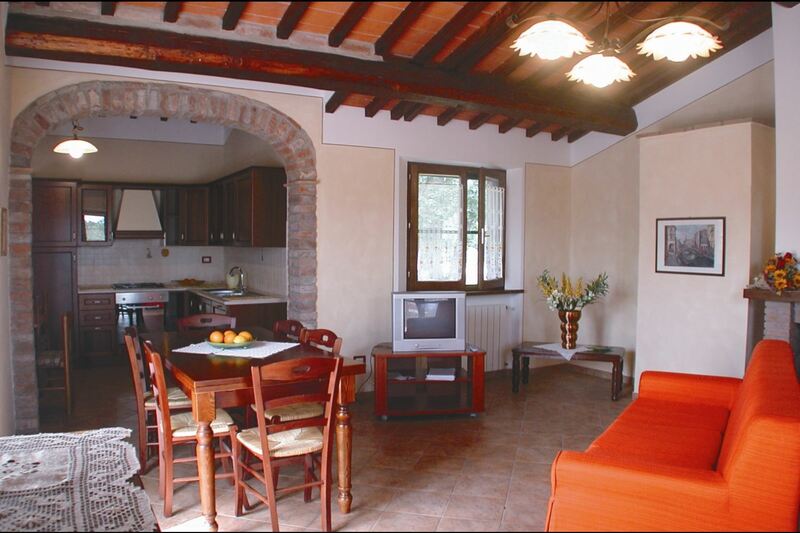 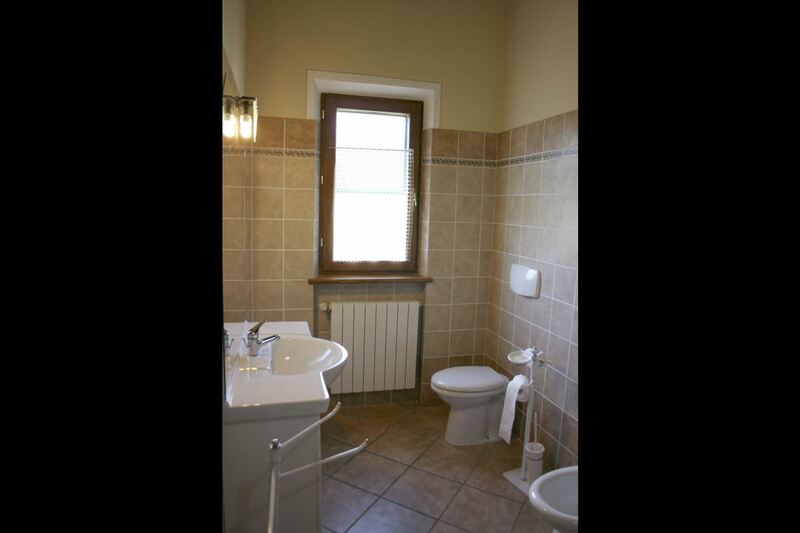 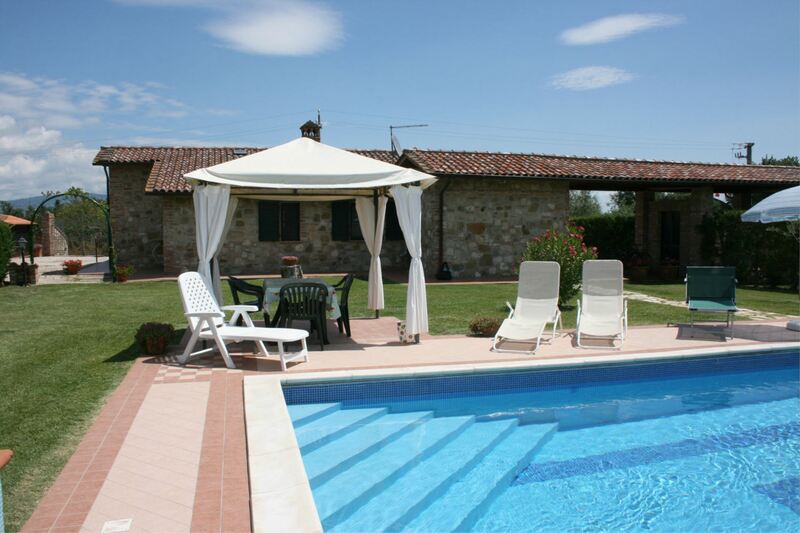 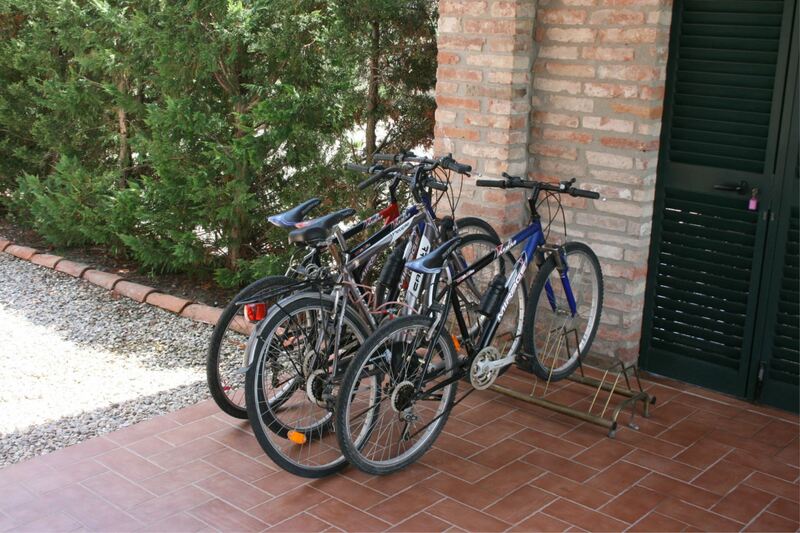 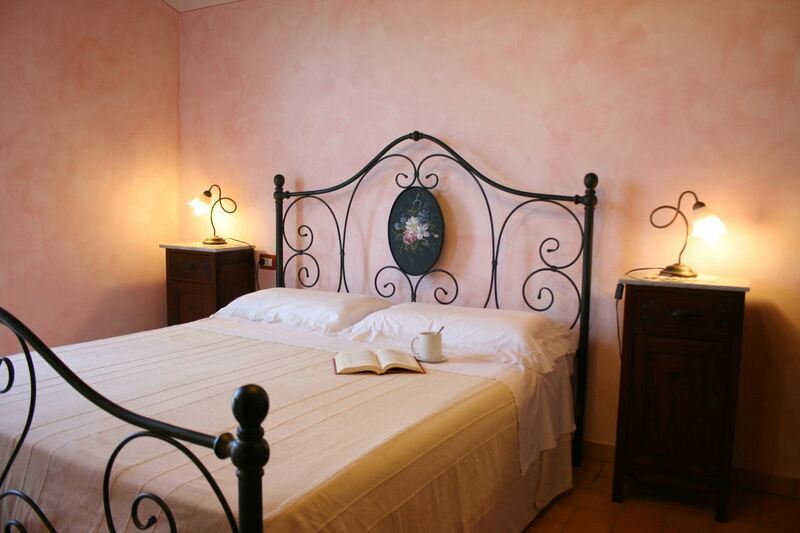 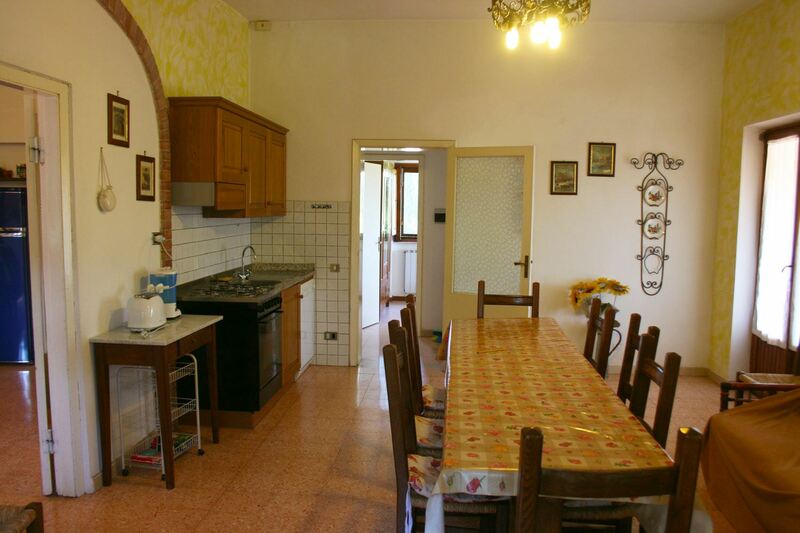 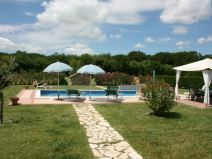 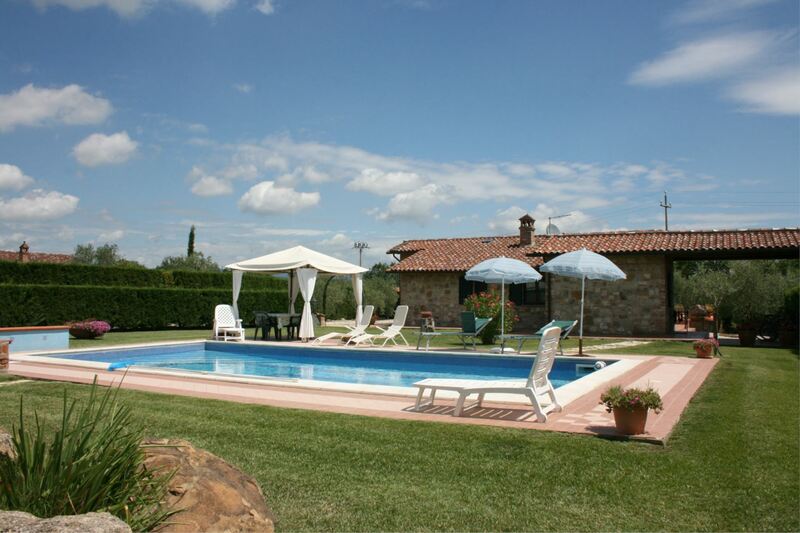 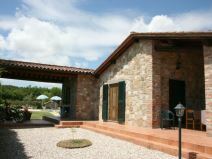 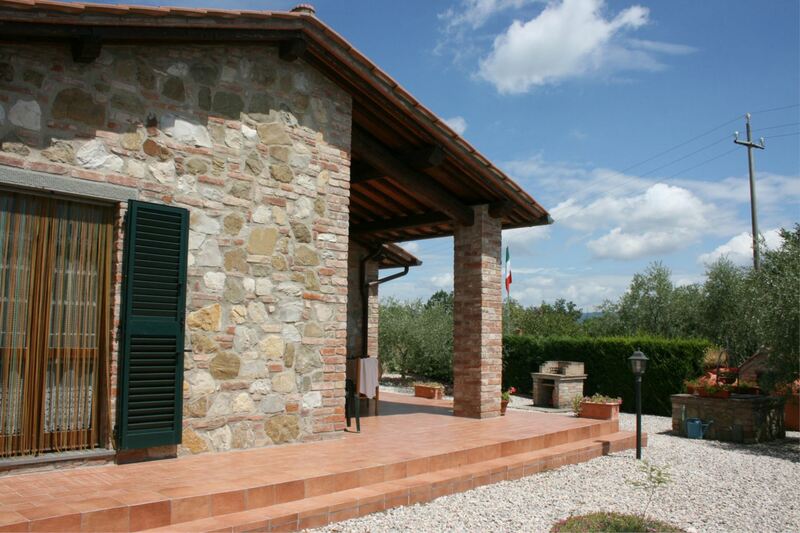 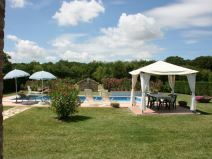 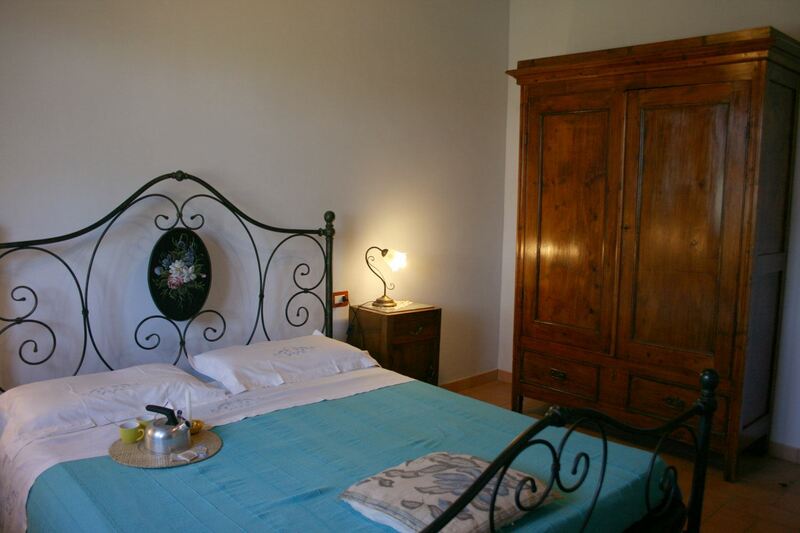 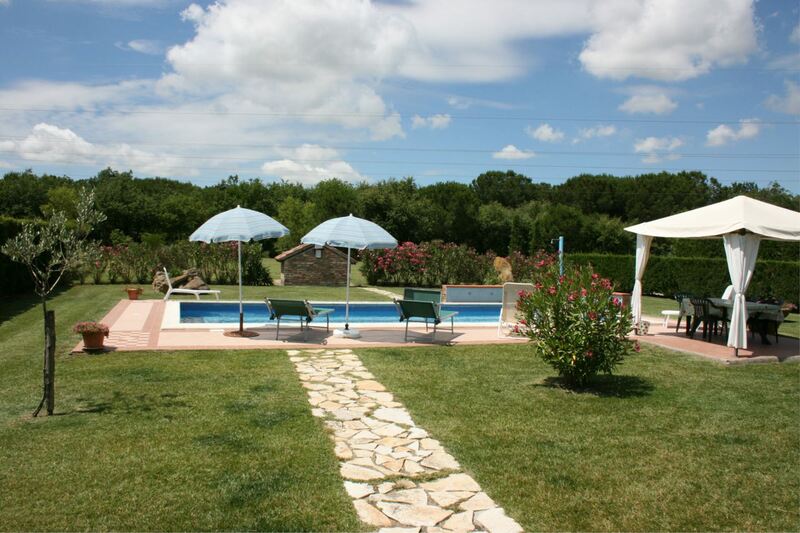 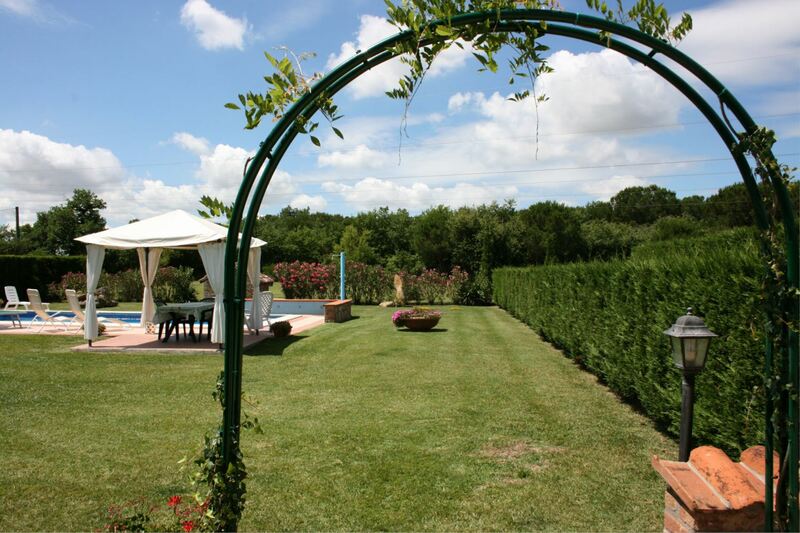 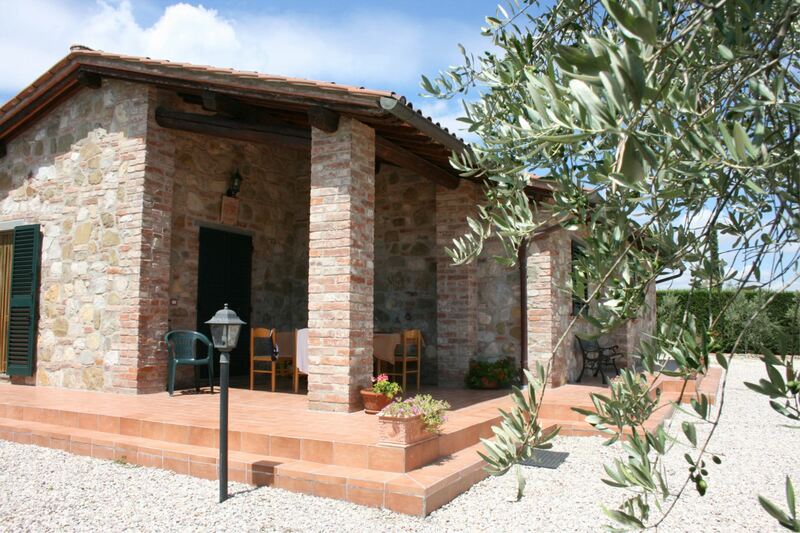 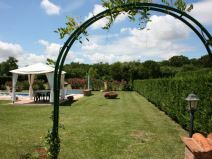 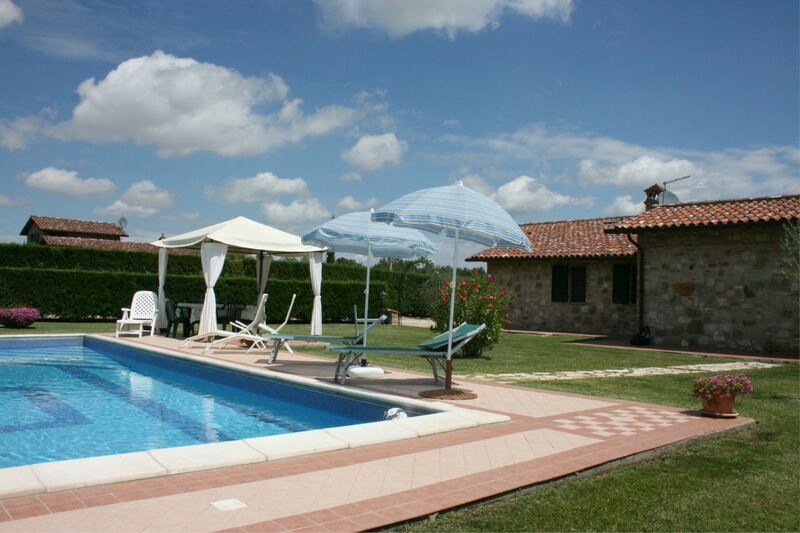 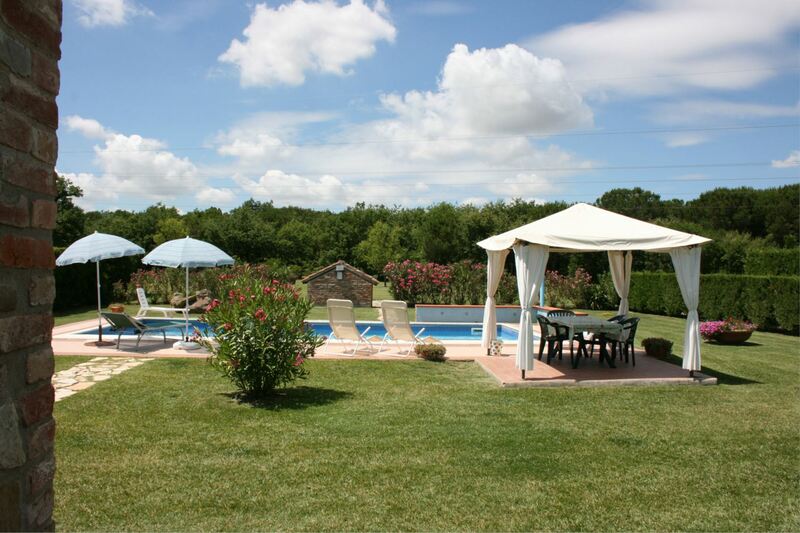 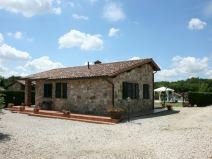 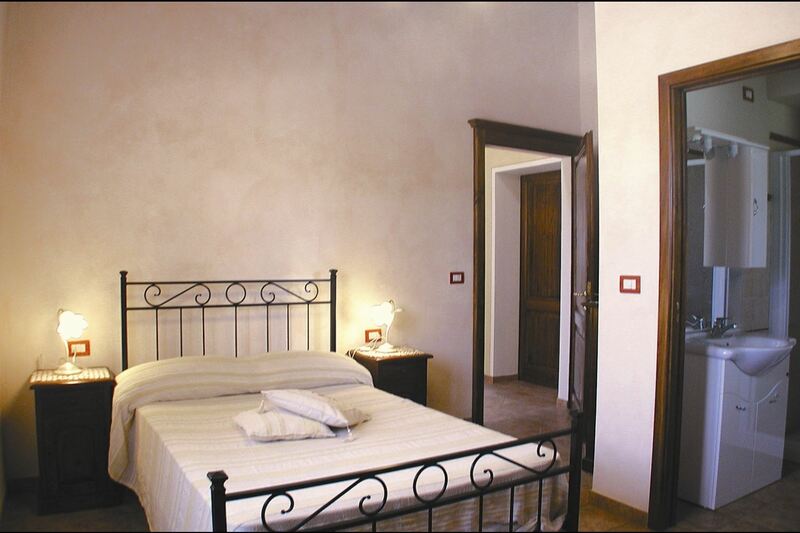 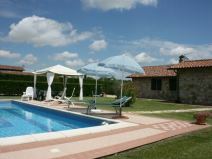 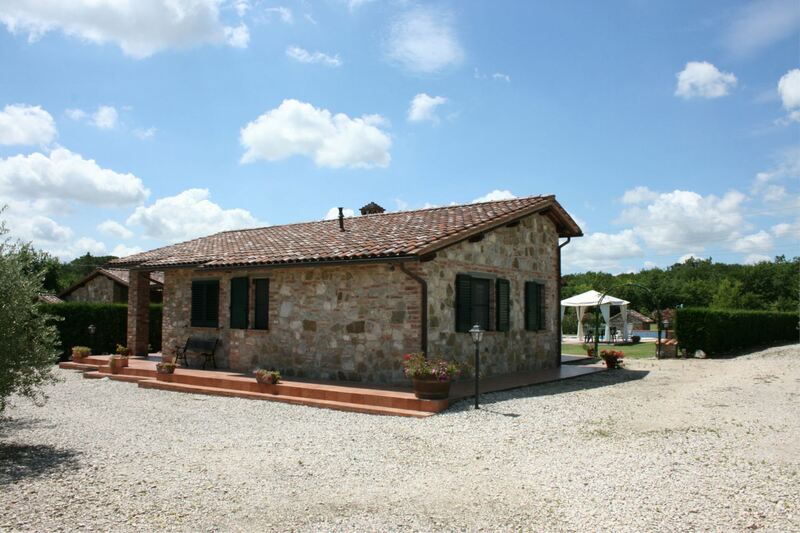 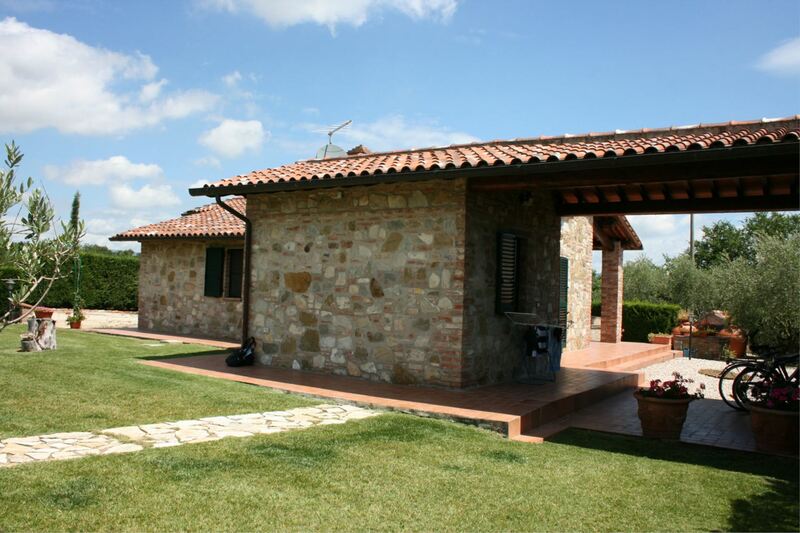 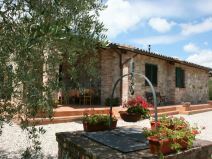 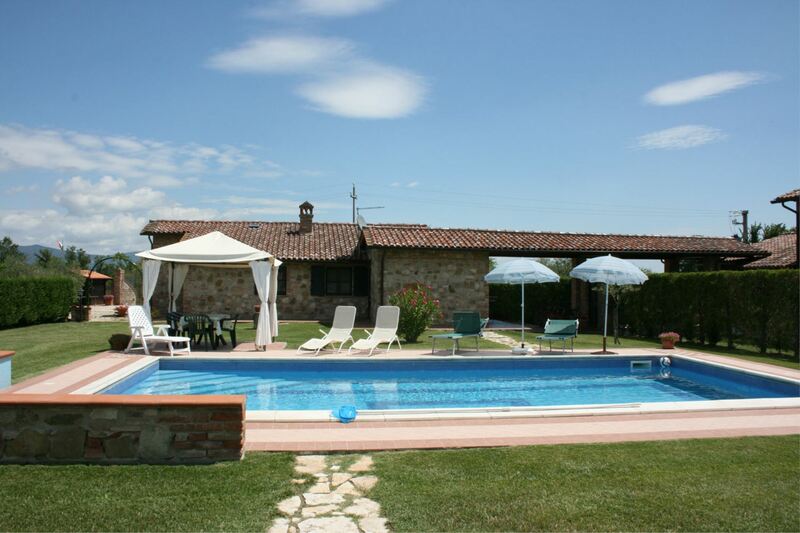 Ground floor villa for 8 persons with private pool and garden, located near Castiglione del Lago, province of Perugia. 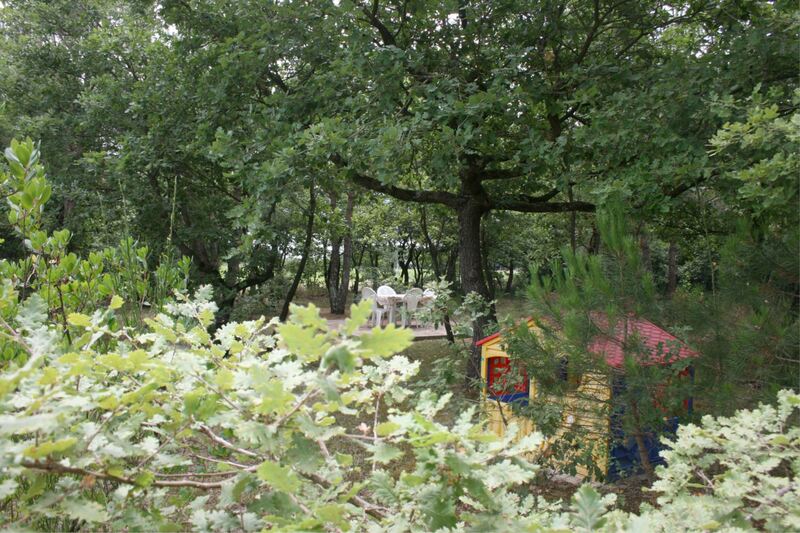 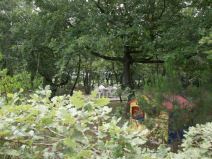 Wi-Fi, mosquito nets, mountain bikes, children playground, table tennis. 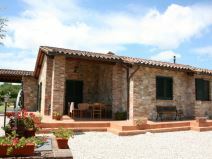 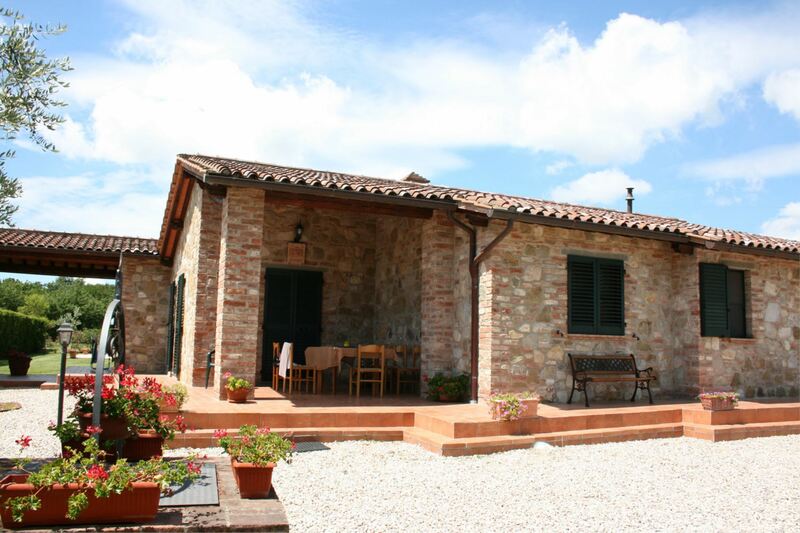 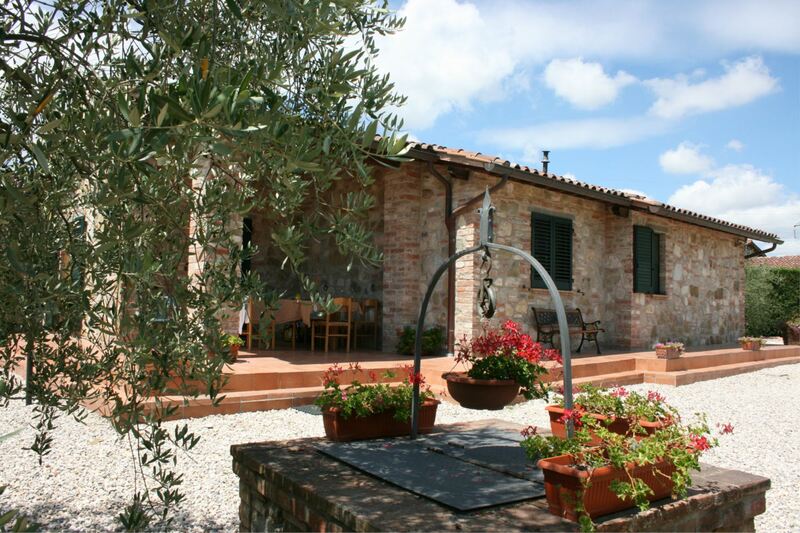 Stone villa on the border between Umbria and Tuscany, near Trasimeno Lake. 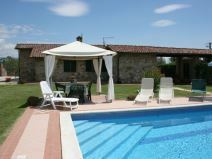 Villa Susanna is beautiful holiday villa in stone situated in a holiday homes complex, including other two attractive villas, Villa Marty and Villa Aba, each with its own private garden and swimming pool. 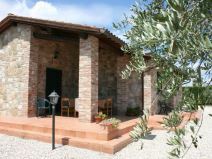 Situated on the border between Tuscany and Umbria, the three villas are half way between the antique Etruscan cities of Cortona and Castiglion del Lago. 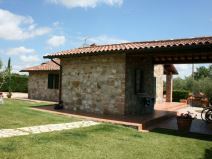 A short drive takes you to Arezzo with its masterpieces painted by Piero della Francesca, to the medieval villages of Montepulciano, Pienza and Lucignano, as well as to Lake Trasimeno and Perugia. 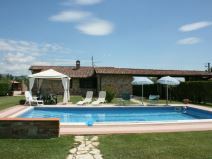 Only 4 km away the village of Castiglion del Lago with its impressive castle, shops, restaurants and all kind of facilities. 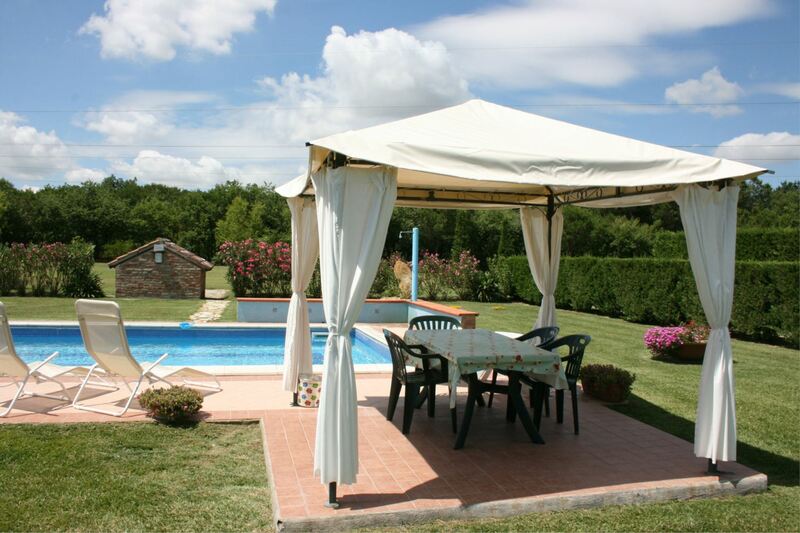 Private swimming pool with salt water purification. 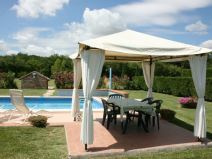 On the large garden all around the villa equipped with table, chairs, sun umbrella and barbecue, has been installed a very nice pool for the exclusive use of the clients (dim. 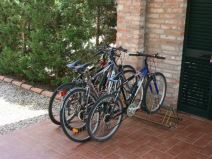 5x10 m., depth 1,50 m. - water depuration with salt).The villa has high quality and characteristic furniture and is equipped with all modern comfort: dishwasher, washing machine, satellite TV, and safe. GROUND FLOOR: porch equipped with table and chairs, living-dining room with kitchenette, double sofa-bed and fireplace, double bedroom, double bedroom with en-suite bathroom with shower, twin bedroom, bathroom with shower and laundry.